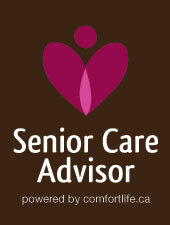 Retirement homes in Coquitlam and the rest of BC fall under the auspices of the BC Seniors Living Association (BCSLA). The BCSLA provides membership to senior homes committed to choice, innovation, and excellence in senior living. In Coquitlam, assisted living facilities provide help with activities of daily living (ADL’s). In addition, recreational opportunities, assistance with medication, mobility and transport are also provided. The atmosphere in an assisted living facility is more relaxed than a nursing home and it is ideally suited to those who can still control their daily activities to some extent. Read Vancouver retirement home reviews before you commit to a retirement residence. A Coquitlam nursing home (more formally called a continuing care home), on the other hand, offers the highest level of medical care outside of a hospital. Respite care is a temporary form of care service allowing caregivers a break. Memory care centers offer help and services for seniors suffering from Alzheimer’s and other debilitating disorders. Coquitlam’s retirement homes are known for their skilled care. The ambience and facilities in these retirement homes enable the elderly to continue an enjoyable and secure life with a good deal of community activities and events. Coquitlam, about 30 km east of Vancouver, sits at the confluence of the Fraser River and the Pitt River. It is bordered by Port Coquitlam on the south. The Coquitlam River borders it on the west, and the cities of Maple Ridge and Pitt Meadows lie across the Pitt River from both Coquitlams. Those who already live there know the beauty of the area, but if you are looking at retiring in Coquitlam from out of the province you are in for a treat. Coquitlam’s retirement residences promote a high level of satisfaction, social fulfillment and well-being so that seniors can enjoy their golden years to the fullest. It's an ideal place where you might settle into retirement. As with all of Comfort Life's listings the retirement homes we list from Coquitlam offer superb services and amenities.